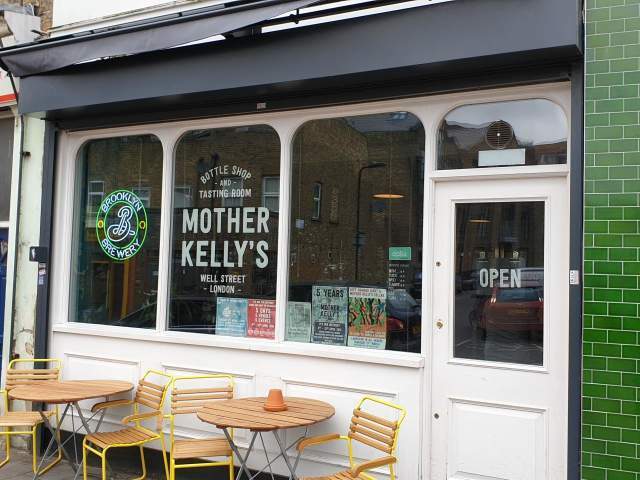 Rather like the Stoke Newington branch, this is another Mother Kelly’s which is more bottle shop than bar, but it is a very stylish, cosy and comfortable place in which to drink good beer on site. The range is the usual excellent selection you’d expect from MK, with 8 keg lines and around 400 bottles/cans to choose from. Again, like in Stoke Newington, there’s a cold room, and in this branch there’s also a tasting room in the basement.